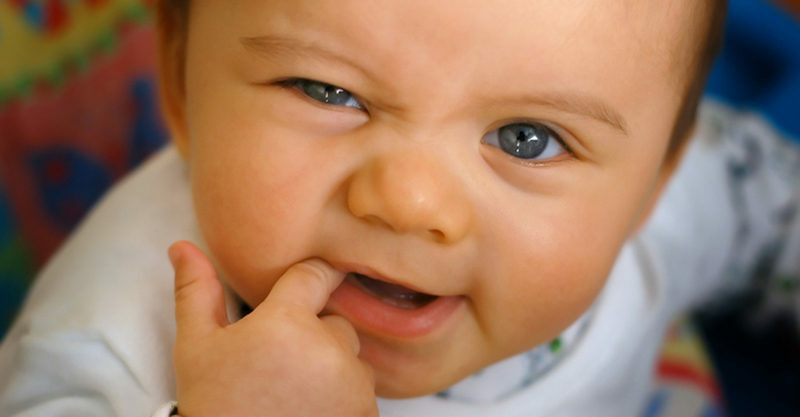 There’s no sorrier sight than a babe deep in the trenches of teething. In a time when all that counts is comfort, we’ve found seven teething products perfect for little ones to cut their first set of teeth on! What’s trending in teethers you wonder? The granite and antique gold look, that’s what. Keep this silicone gem in your fridge for instant teething relief for your little one. 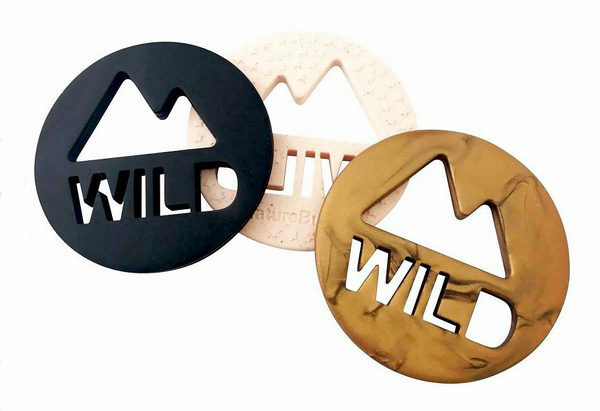 Wild Teether, $11.95 from Nature Bubz. When all a sad and sore baby wants is to be cuddled and held, help a teething bub out by wearing your best chewable, baby friendly accessories. A beautiful range of colourful, silicone bead necklaces awaits at Audrey and Me. Priced from $23.95. 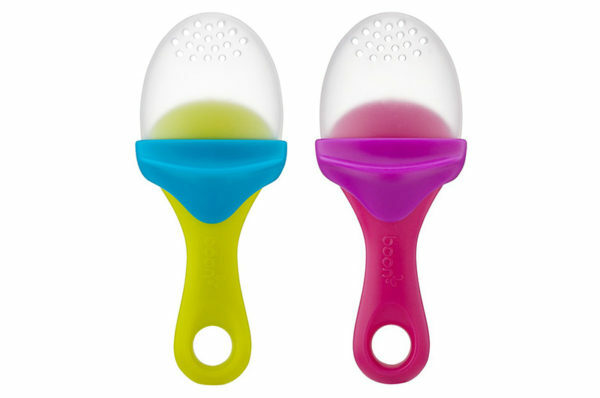 From the awesome team at Boon, the Boon Pulp Silicone Feeder is brilliant for filling with cold (or frozen) grapes or berries and letting your little one safely go hammers and tongs at it. There will be a tasty dribbly mess, but it will be well worth it! Available from Babies R Us, priced $9.99 each. Chowing down on a toothbrush might seem like a pain relief option fraught with danger, but not so when it’s a brush especially designed to fit the chubby hands and little mouth of your babe. 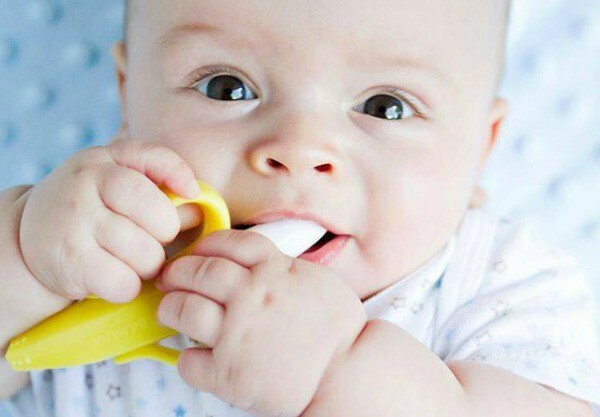 Baby Tooth Land teething toothbrushes are available in several designs from sharks to bananas, priced $17.95 each. If your baby has not yet met Sophie the Giraffe, now’s the perfect time to introduce your bub and Sophie as friends. Sophie’s soft rubber, knobbly head and ears get into all the right spots, bringing comfort to sore gums. $37.50 from Les Folies. My own children’s cot bears all the signs of teething, it seems our kids had a taste for the timber rails. Luckily for parents of children with beavering ways, wooden teethers are now readily available. 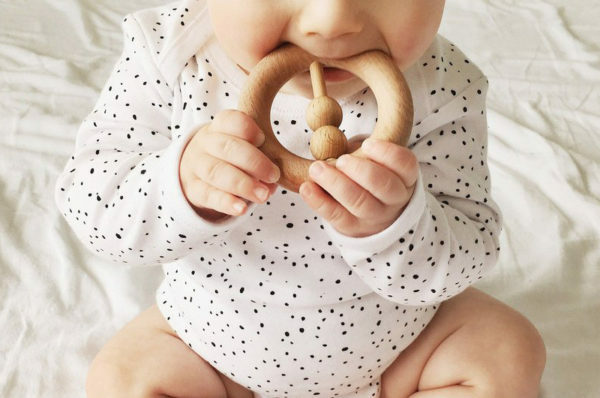 The Natural Beech Wood Rattle Teether gets our vote. Find it at One Chew Three, priced $15.95. A chewable friend, Matchstick Monkey is more than a toy, it’s a vessel for getting that teething gel into your baby’s mouth when they typically clamp it shut. Monkey’s textured head holds on tight to teething gels letting you get to the source of the pain – and not lose your fingers! 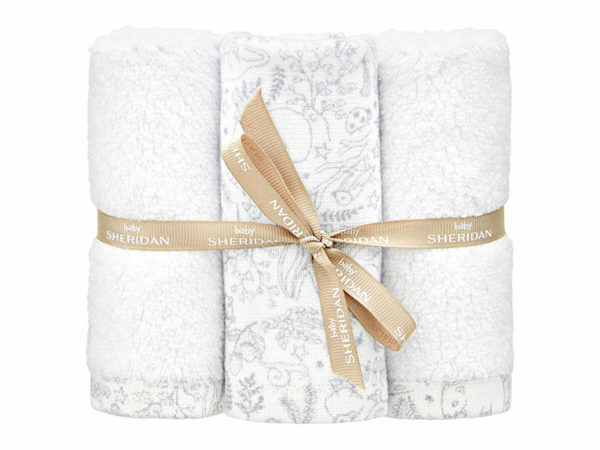 Available at David Jones, priced $19.95. What a clever monkey! If it seems nothing is pleasing your baby, try the simplest trick of them all. Reach for a clean, damp face washer and let them mouth on that while enjoying a cuddle. Feel like splashing out on face washers? The plush Amarley Baby Face Washer Set, $21 from Sheridan is a brilliant buy.